Just another project I've been working on the past few months. I've been refraining from posting anything because projects often get put aside for schoolwork, but this one's definitely coming together shortly. I found myself designing a 60" divebomber in AutoCAD in December, and I put it together slowly afterschool everyday since. Recently I've got electronics going into the wings, and half of them are sheeted with foamboard already. 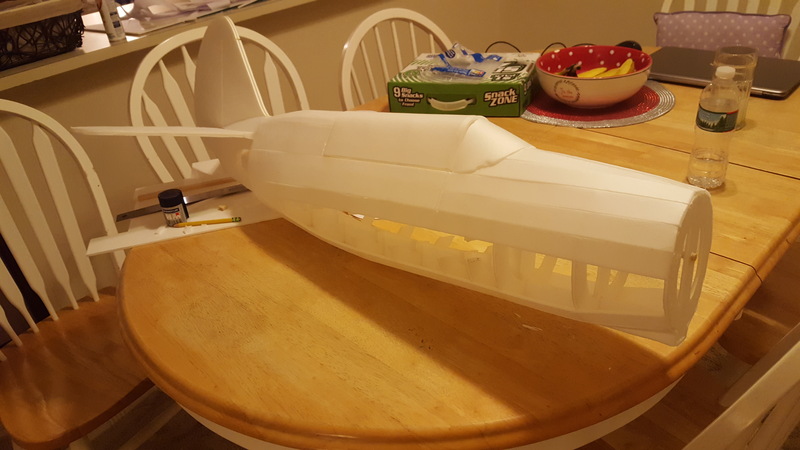 and I decided to use these strips to line the fuselage. Stripping them of the paper allowed them to mold with the fuselage's curves, and will only require minimal fill and sanding to smooth and finish. so determining the geometry of fitting all of the inner components has been a challenge. 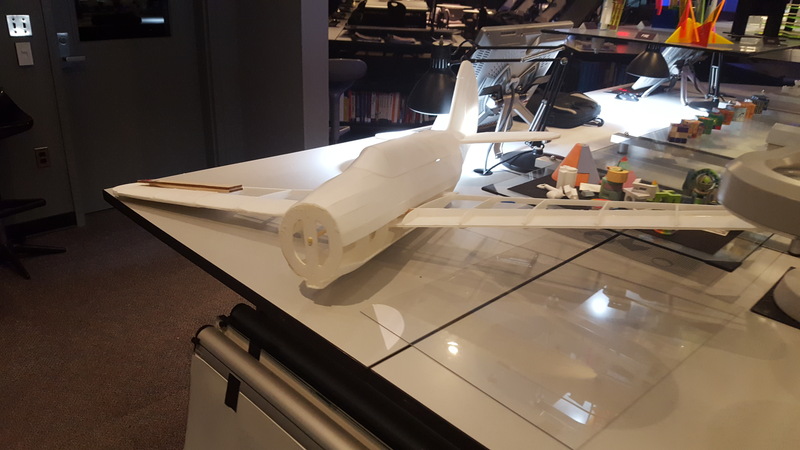 I believe I've found a solution and will build the system once I get hinges for the control surfaces. Electronics are on-hand and ready to integrate as soon as they're needed. It's been pretty smooth work up to this point. 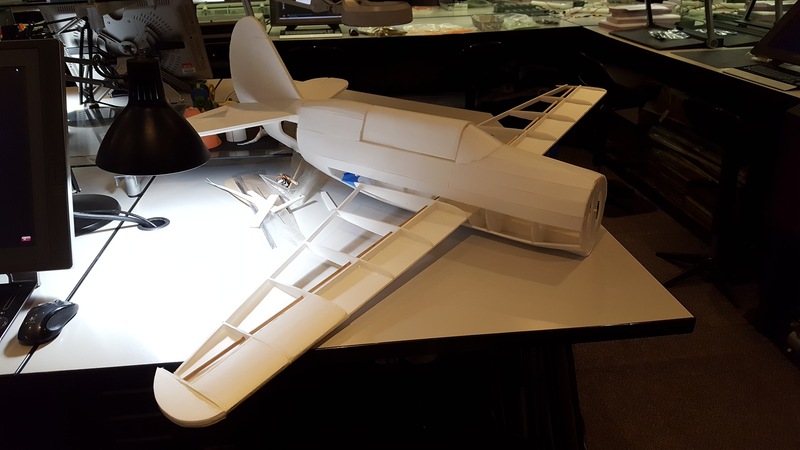 Next step is the completion of the wings and engine/motor mount. I have the CAD drawing ready- I just need to get time to cut out the pieces. It's been a long FIRST Robotics weekend at DCMP so it'll be a good refresher back in school tomorrow. Great build! I'm on a FIRST team as well. We made it to Super Regionals this year, but no farther. This is my favorite aircraft of all time. I've never completed one as I've never felt like I had the skills to do it well enough. Looking forward to seeing what you do with the subject. Cool! FTC or FRC? We made it to New England District Champs for the second time in a row, but the luck of qualification alliances put us at second to last and ended our season right there. Being the team whose high school hosted the very first competition, we haven't had much luck but our efforts are growing. I'd love to see more FIRSTers active and getting involved with FT over FIRST- it's a great resource to grow STEM and I'm sure Bixler would love to tap into that resource. I met a ton of great people at FF (East) last year, if you're going this year it'd be great to meet up! FTC. 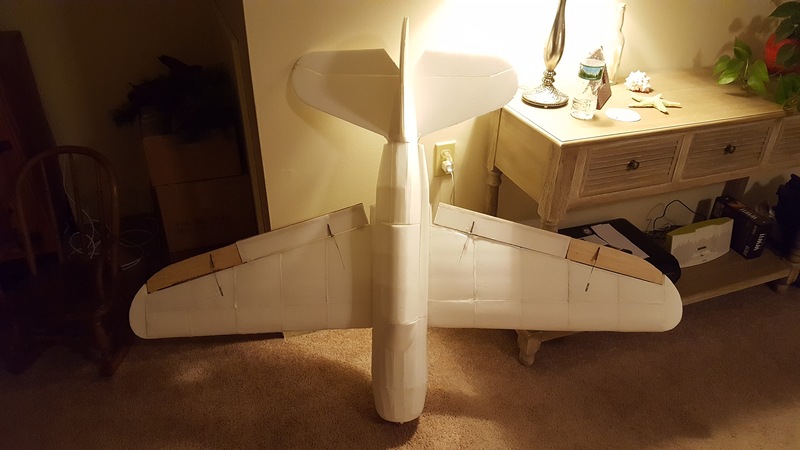 We asked Flite Test for a sponsorship (since we don't have any local companies that would fund us.) but they didn't respond. I probably sent to the wrong inbox. That's neat! I'm sure they get a lot of input from the community but maybe we can bring it to their attention in the coming months. Either way, keep spreading STEM Graciously and Professionally! What is FIRST? I've coached Science Olympiad and Technology Student Association. Haven't heard of that one, though. FIRST robotics is a staged approach to teaching students about robotics. It starts simple for younger students, with the lego based Lego League competitions, and progresses up to the main competition with scratchbuilt robots: https://www.firstinspires.org/robotics/frc. I was a coach for First Lego League for 3 years at my high school, and it was a great program! Very nice build! Are you thinking hand launch or retracts? Thanks! I'm on the edge for both ideas. I've never done retracts and lack the experience I'm comfortable with to add a more complex feature. I'd like to have landing gear, possibly fixed, but that won't look right in a dive with airbrakes. 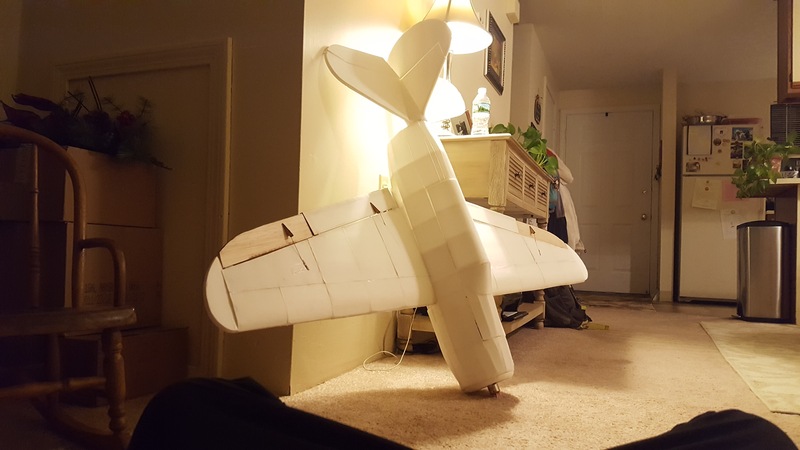 Maybe I'll do hand-launch, but how will that damage the airframe on landing? That's my current dilemma but I'm leaning towards belly-landing. If the airplane is light enough I won't worry as much about the landings. Great project! Are you planning to release the plans once you prove she flies? I can release what I have for plans, but a lot of it has been developing it as I go. The formers and main elements are CAD but the sheeting and most other stuff has been added as I go. If you guys can decipher it I'll totally upload my CAD files. 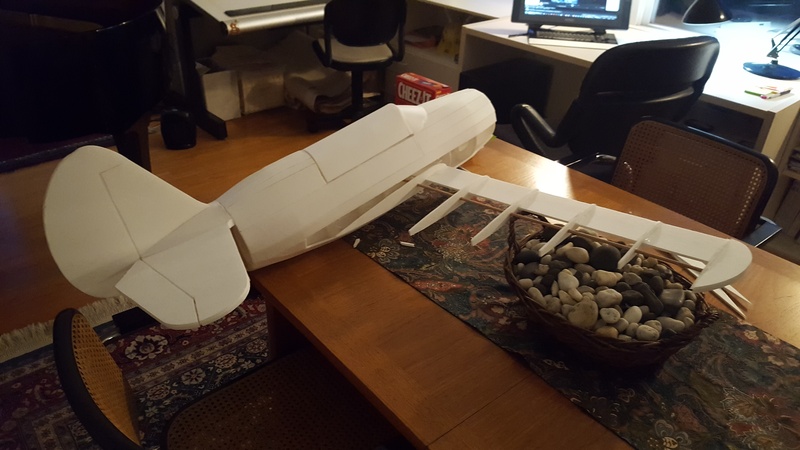 I completed covering the wings and I've installed all of the control surfaces for the wings: ailerons, flaps, and airbrakes. 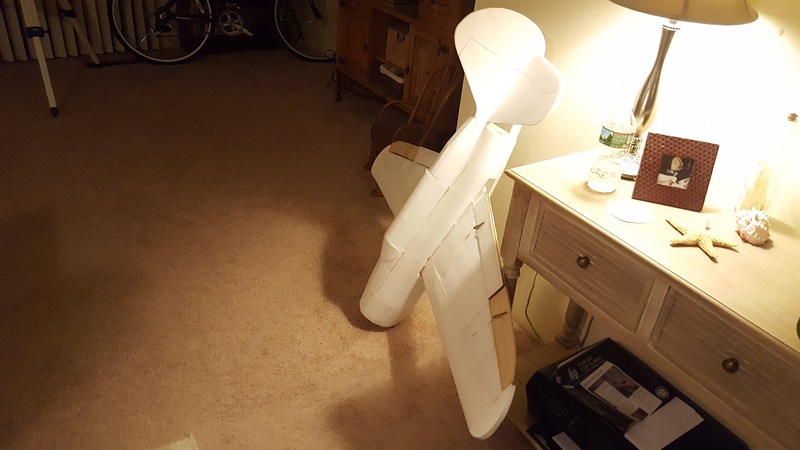 After a long night preparing for a presentation at UNH (which went fantastic btw) I only have to tune the throws of the airbrakes and replace some malfunctioning flap servos. 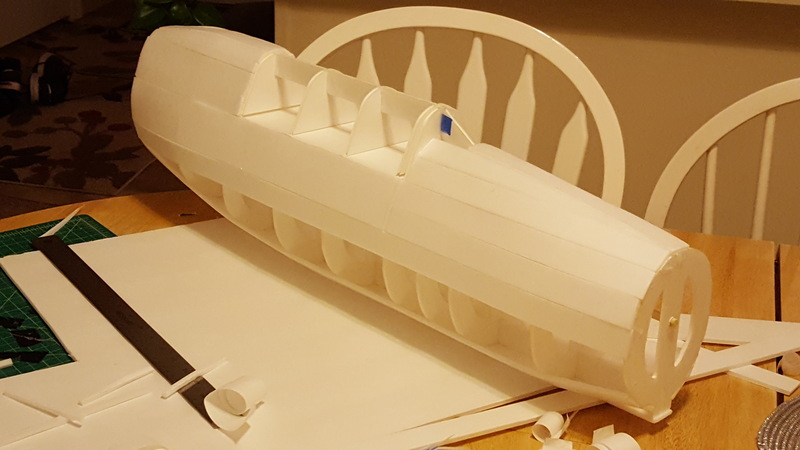 Besides that, wiring up the tail for elevator and rudder control should be pretty quick and straight-forward, so after I've streamlined the wing system it should be smooth[er] sailing from there! 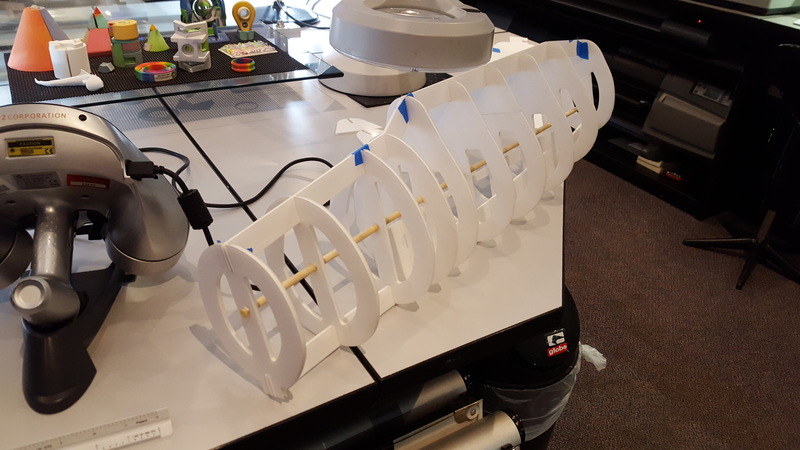 I will be putting the project on hold for the next week as I will be with my FRC team in St. Louis Championships, so I will update with more progress sometime after that! Until then, have some pictures. I'm concerned about the servo horn location on your ailerons. The holes should be right over the hinge line of the control surface. This is a universal technique used to reduce flutter on control surfaces and put less load on the servo. For safety, I would re-locate them. What teams are you guys on? for First? That's something I never really thought of- makes total sense of course, I'll be sure to move them up! I'm on FRC 238 Crusaders. We placed 5th in Daly this weekend (after holding 1st for a while) but Cheesy Poofs (254) took the division and the whole championship. Very neat.